Memorial Day is for cook-outs and white Capri pants. Usually. We were planning on grilling a few steaks this afternoon. But the world sometimes does not cooperate with our plans. And in a sad and scary turn of events, the air is hazy and filled with smoke. Who would have thought that smoke from a forest fire in Quebec would travel hundreds of miles south to Boston? Not just one forest fire, in fact, but at least a dozen, raging outside Montreal, forcing thousands from their homes. So, since grilling is out, I figured that chocolate is in. 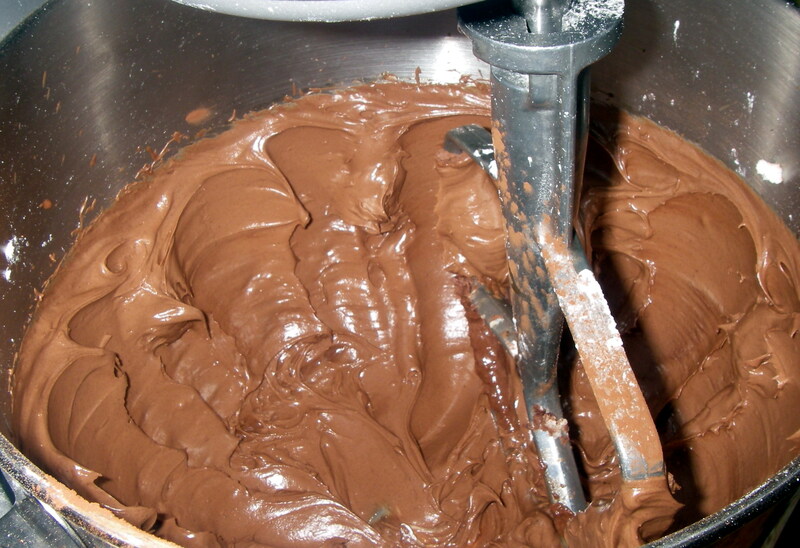 This is my ultimate favorite chocolate frosting. Rich and smooth, but oh-so-easy to make. It is perfect on just about any cake, as long as you use really great cocoa powder (I used Ghiradelli). 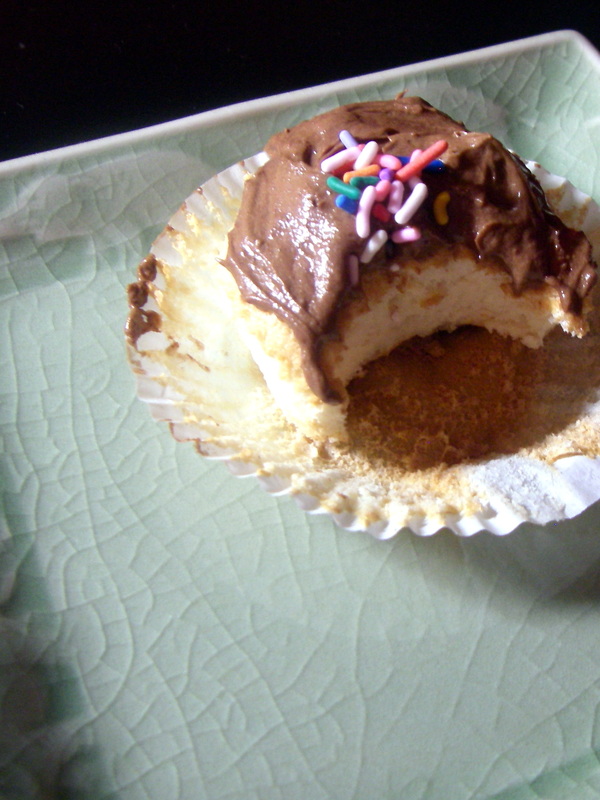 It really is perfect atop these angel food cupcakes. But it’s even quite nice on baked and chilled brownies as an extra decadent layer. I made a double batch of the angel food cake here, because it keeps for a few days. And when the haze clears, we will be sitting on our deck devouring angel food cake topped with strawberries and whipped cream. 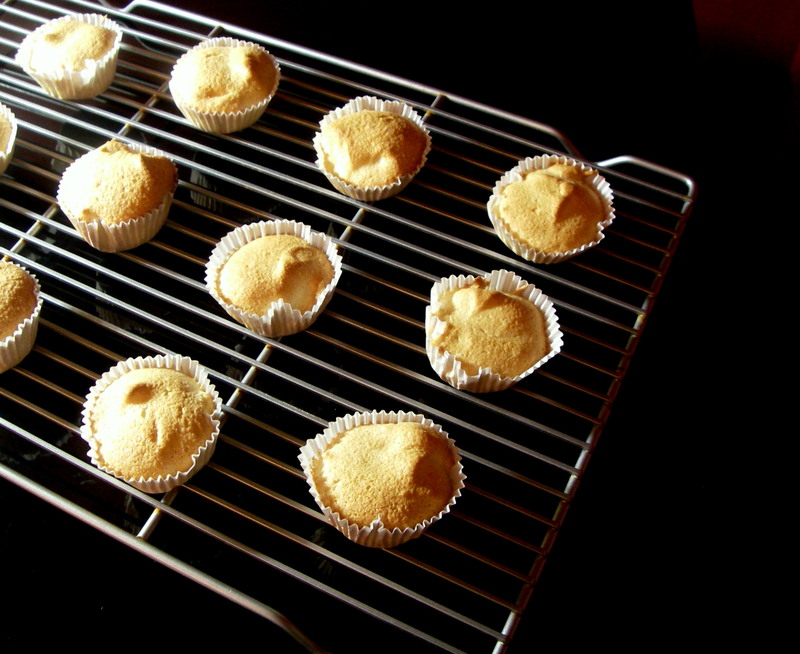 The cupcakes cook pretty quickly, but if you choose to make a loaf cake or bake the batter in a traditional tube pan, do not grease the pan and do increase the baking time to 50-60 minutes until slightly golden. 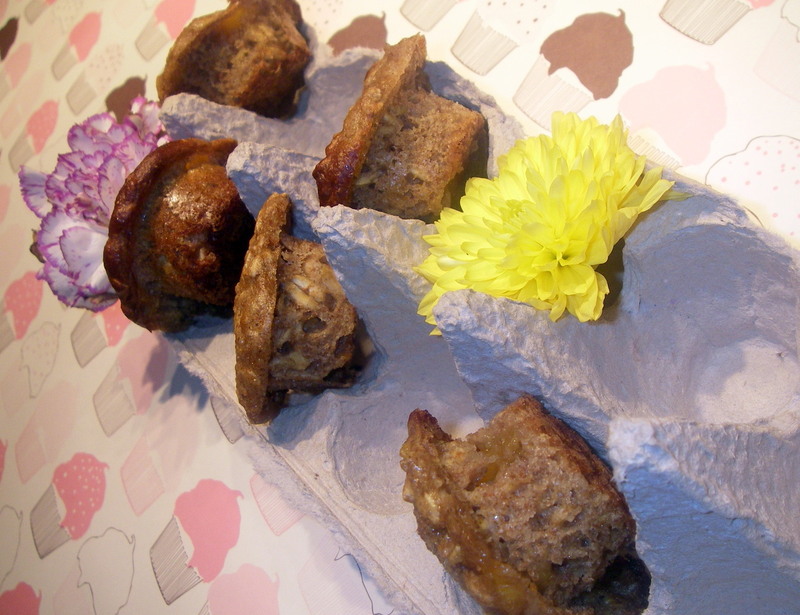 While not necessary for the cupcakes, for a larger cake, be sure to cool in the pan upside down on a rack. Preheat the oven to 350 degrees. Beat the egg whites on a medium-low speed until frothy. Add the cream of tartar and beat on high until firm but not dry. Beat in the vanilla and almond extracts if using. Meanwhile, mix together the sugar, sifted flour and salt. Add the flour mixture to the egg white mixture a half-cup at a time, beating well in between each addition. 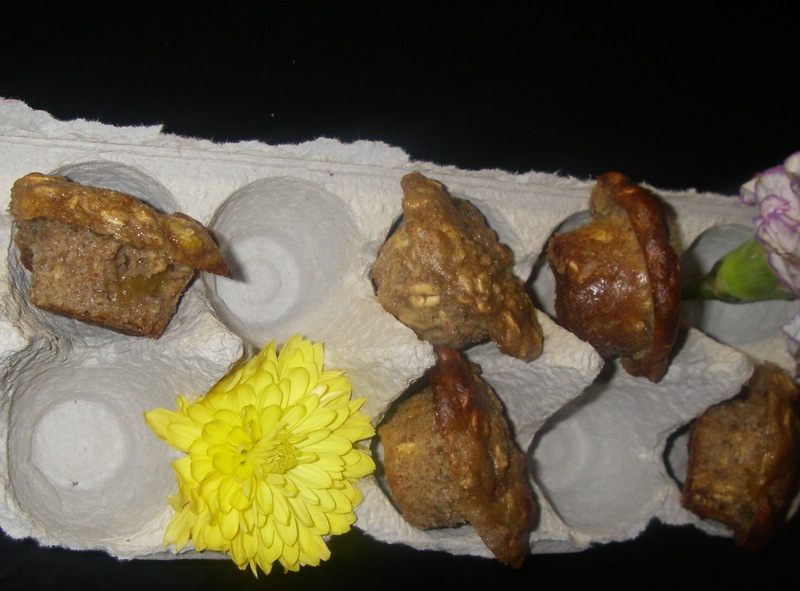 Spoon the batter into paper muffin liner cups (do use liners, otherwise the batter with stick terribly) and bake for about 15-18 minutes, until golden on top. 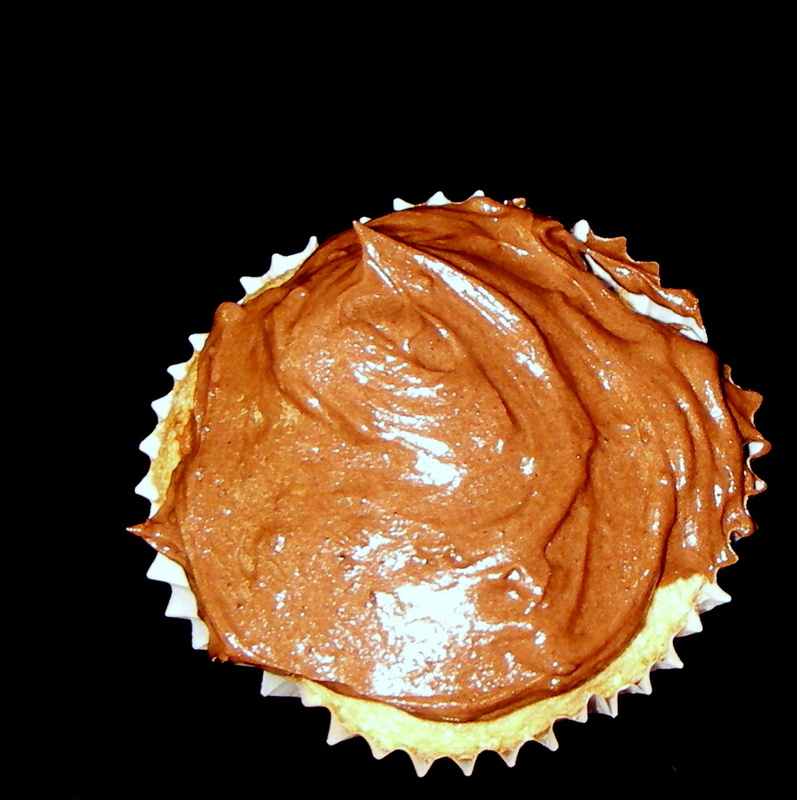 Cool completely and frost with simple chocolate frosting. Beat the butter until slightly fluffy. Add in the sugar in two additions, beating well after each additions. Add in the vanilla and cocoa powder and beat well. Add the milk and continue to beat until smooth. 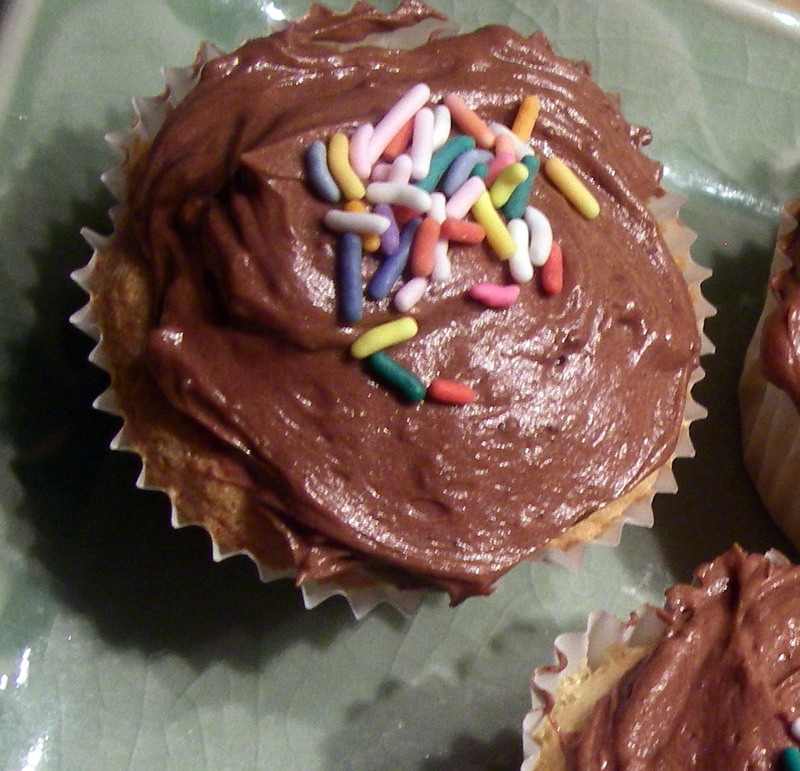 Use right away or store in the refrigerator and bring to room temperature to use for frosting. I hate eating at the mall. Not that there is really anything wrong with greasy pizza or milkshakes (I kind of love greasy pizza and milkshakes). But trying on skinny jeans after eating said greasy pizza? Not fun. Which is why I was thrilled by the hors d’oeuvre spread at our clothing swap over the weekend. We cleaned out our closets, arranged our wares in pretty piles or hung them on rack like a real store, and went to town. My friend Diana, our host, even made a make-shift dressing room complete with full length mirror. And with all those clothes to try on (and the lack of air conditioning), it’s a good thing that Diana stipulated that all food and drink be light and refreshing. Our spread was lovely. 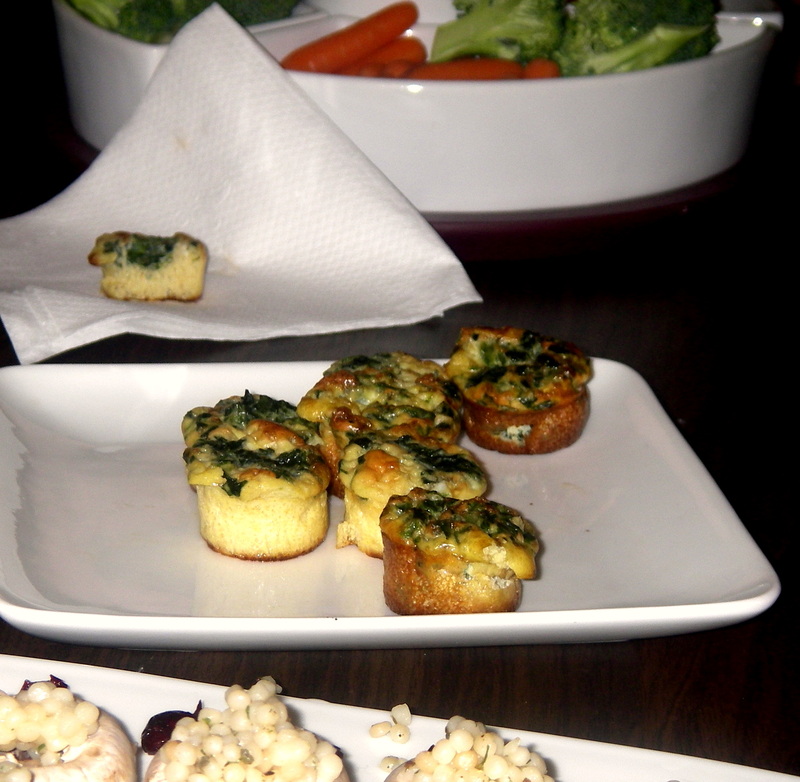 Mini frittatas, couscous stuffed mushrooms, beautiful veggies, fruits, and cheeses. 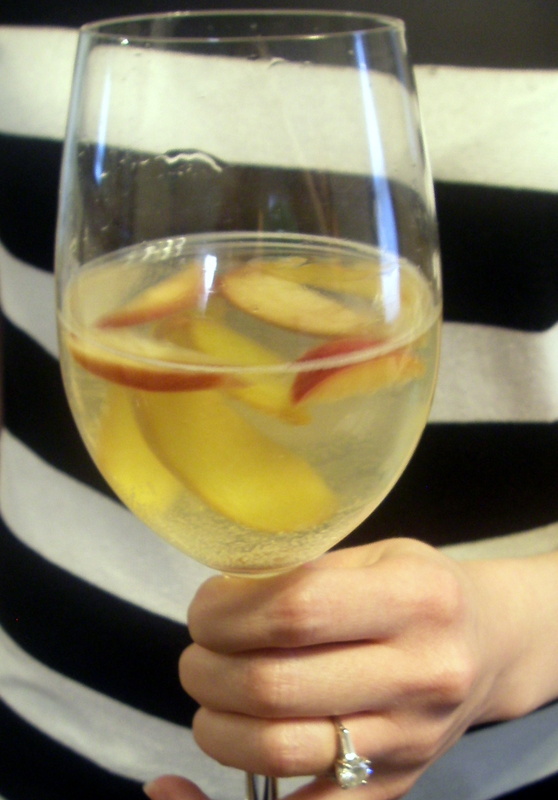 And, of course, white Sangria. This is certainly not a traditional Sangria. 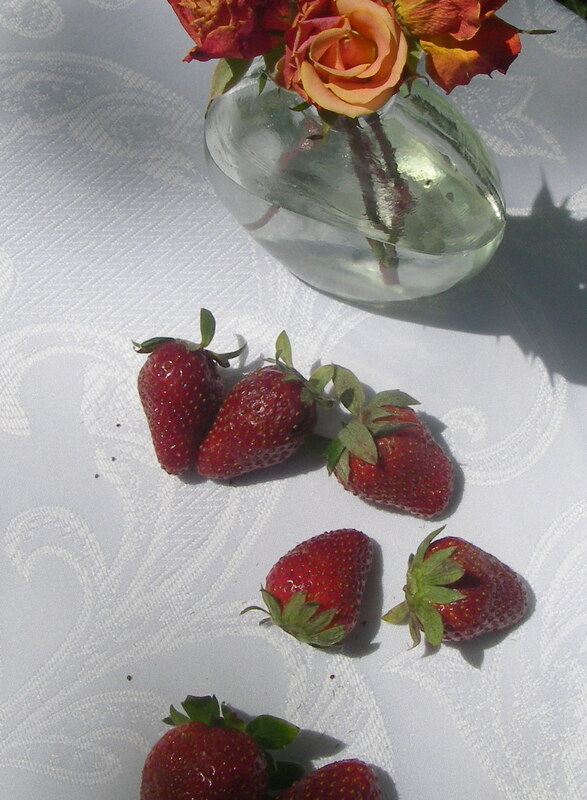 But it is fruity and subtle and perfect for a hot day. In my opinion, it goes with everything. It’s probably not authentic enough to go with a great paella, but it would be lovely with kebabs at a BBQ, or perfect with salmon tartines at a picnic, or even yummy with some nachos in front of the TV. 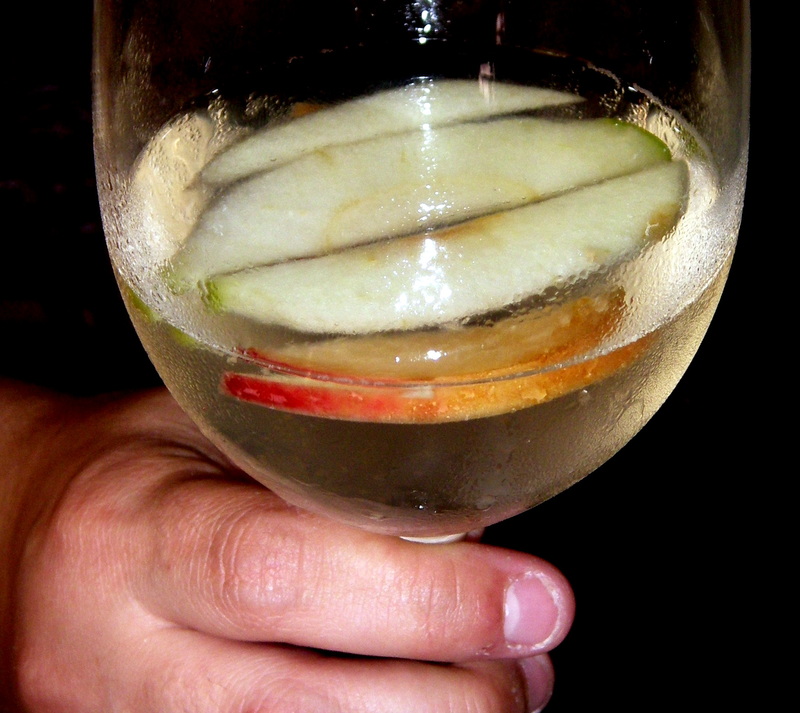 The fruit mixture will keep in the refrigerator for a few days, but once you add the wine and seltzer, be sure to serve right away. Did I mention that I love berry picking? And because I love berry picking, by mid-summer our kitchen tends to overflow. I can only eat so much pie and crumble and shortcake. Ok, the limit for shortcake is pretty high. But still… eventually, enough is enough. Especially in swimsuit season. Which is why I love freezer jam. Slaving over a hot stove and worrying about botulism are not my favorite pastimes. But I do adore jam. 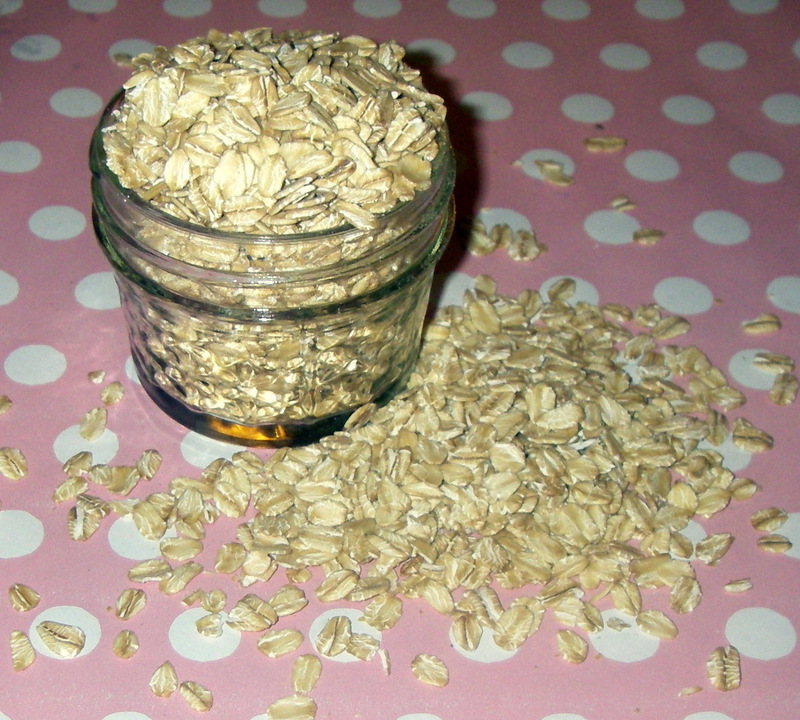 And there is nothing better than pulling out a jar in November and tasting summer on my morning toast – or baked in a tart or stirred into oatmeal. So make jam. It’s so easy and you know you want to. 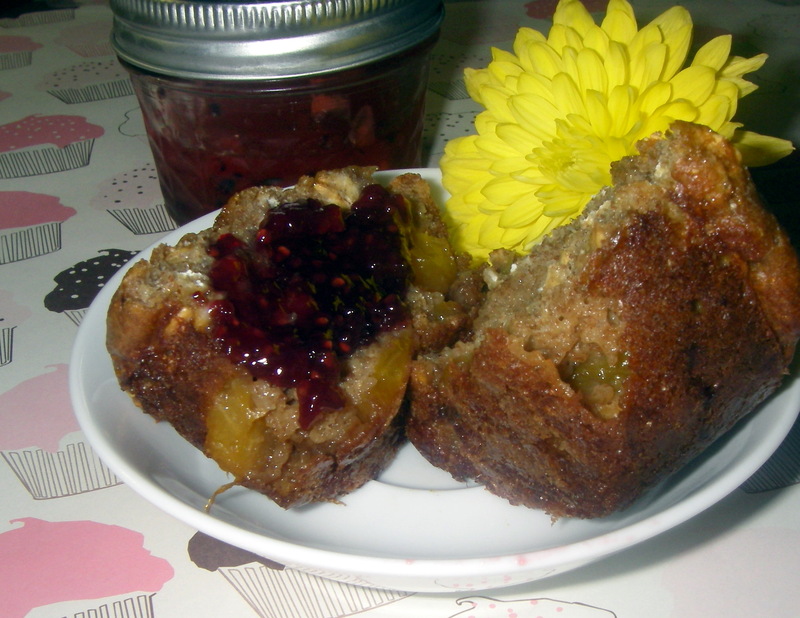 Check out my column in the Dedham Transcript, complete with a Strawberry Kiwi Freezer Jam recipe here. It’s really wonderful stirred into plain yogurt for breakfast. 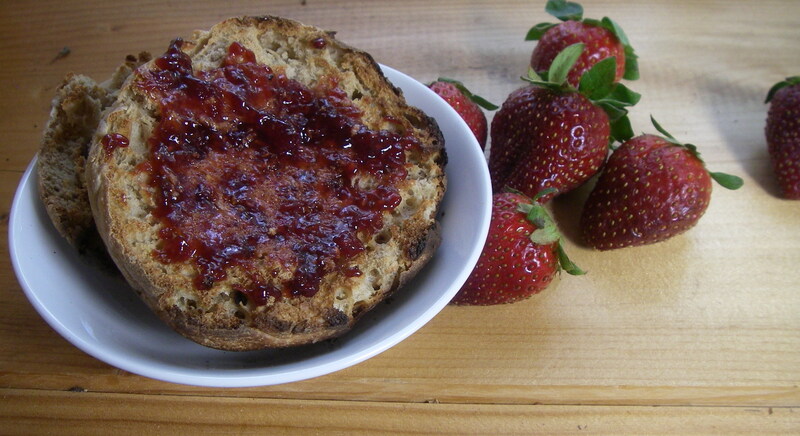 Or make Cherry-Berry Jam and spread it on pound cake. Yum! Mix together the cherries, berries, sugar and lemon juice, stir well and let sit at least 10 minutes. 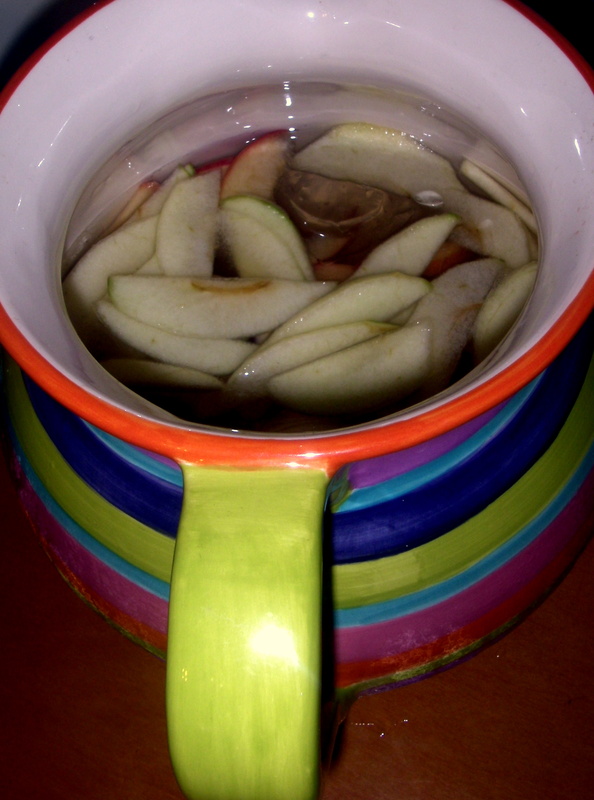 Meanwhile, whisk the pectin and water in a small saucepan. Bring the pectin mixture to a boil over high heat. Boil for 30 seconds and then remove from the heat. Pour the pectin mixture over the fruit and stir continuously for two minutes (keep stirring to avoid lumps of pectin in your jam). 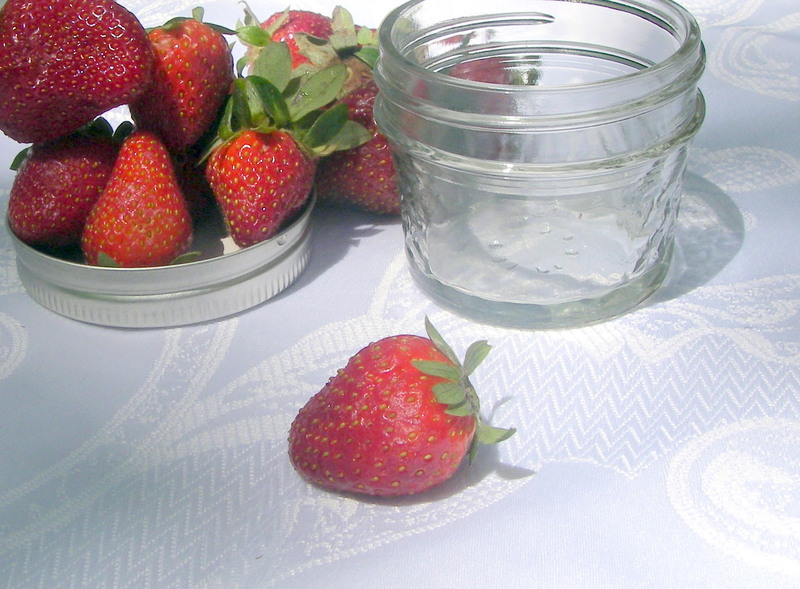 Transfer the jam to clean freezer-safe jars, leaving plenty of headroom as the jam will expand when it freezes. 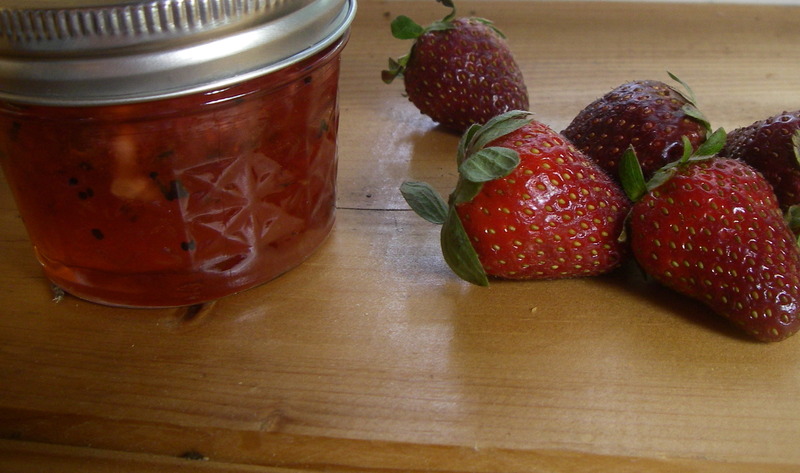 Put the lids on the jars and let jam sit at room temperature for at least 12 hours to set up. Then store in the freezer for up to 6 months or refrigerate for up to 2 weeks. My mom calls me the Queen of the Slapdash. It was a nickname that I earned way back in middle school and it stuck. I’m not a details kind of gal, and if you look up antonyms for meticulous, you’ll probably find ‘Katie’. Sadly, my culinary style is much the same as my middle school homework style. I don’t take actual short cuts (canned frosting and t.v. dinners are not my thing), but I do love to pass off a seriously easy recipe as a feat of magnificent proportions. I had long been terrified of candy, chocolate, and confections in general because attention to detail is key when a matter of one or two degrees can mean the difference between buttery caramel and a beeping smoke alarm. But over the past year I’ve tackled my fears, and found that not all confections have to be so difficult to make. 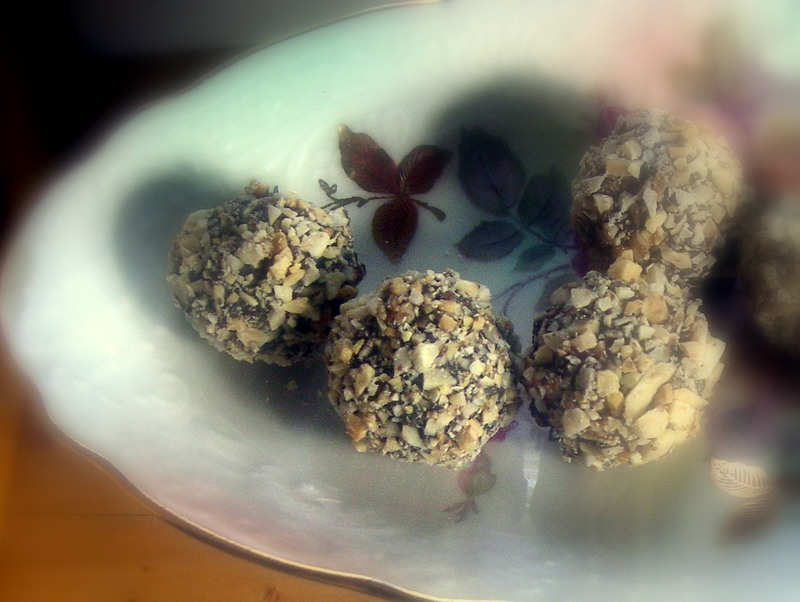 Not that you shouldn’t tell everyone that these lovely truffles took days of incredible patience to prepare. People will believe you. They are that good. And they are adorable enough to qualify for a fake-out. These beautiful chocolate wonders are a great hostess gift for that friend who invites you for dinner but refuses to let you bring anything. They key to ease here is making sure that your goat cheese is softened before you start – you don’t want lumpy ganache. And, of course, use great chocolate. I went for Callebaut, but take my advice and splurge on the best you can find. The marriage of chocolate and goat cheese is surprisingly mild and just a bit mysterious. I neglected to mention to Jeff that the ganache was made with goat cheese (he hates goat cheese – sometimes I just don’t understand how we ended up together). He munched away, enjoying the creamy texture and “that something, what is that something?” which I refused to divulge. I love the almond flavor with the tang of the goat cheese, but you could certainly go for hazelnut instead, which would be wonderful and earthy. Bring the goat cheese to room temperature. Melt half of the chocolate on low power in the microwave, stirring every 30 seconds (or over a double boiler). Adding a the chocolate to the cheese just a spoonful at a time, stir together the goat cheese and the melted chocolate until very smooth. Use the back of a spoon to work the goat cheese into the chocolate. Mix the almond liqueur into the chocolate mixture. Chill one hour. Remove from the refrigerator and scoop into balls. 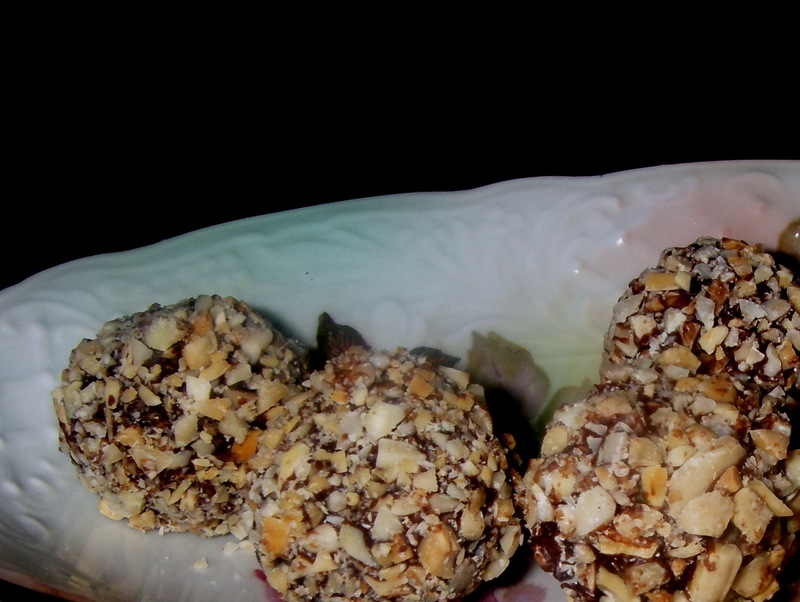 Roll the scooped truffles in your hands to make them perfectly round. Put the chopped almonds on a flat plate. Melt the remaining chocolate. Coat each truffle with a small amount of chocolate (the best way to do this is by dipping a large spoon in the chocolate and then rolling the truffle in the spoon). 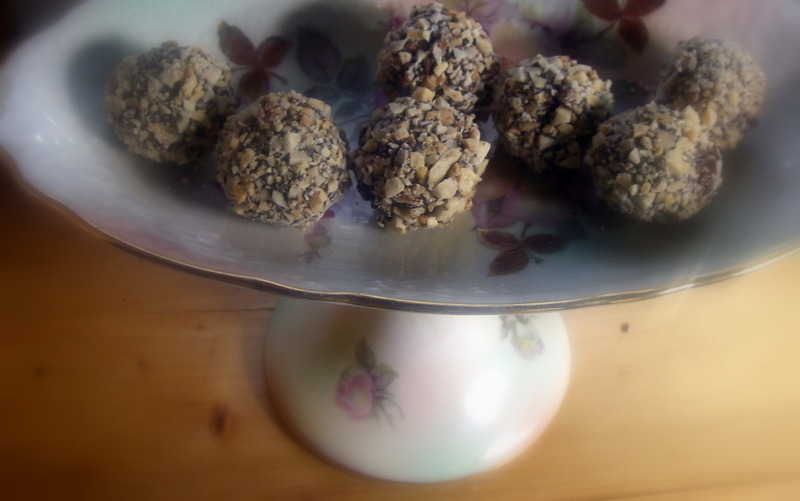 Quickly transfer each coated truffle to the nuts and roll to coat. Chill at least 30 minutes. 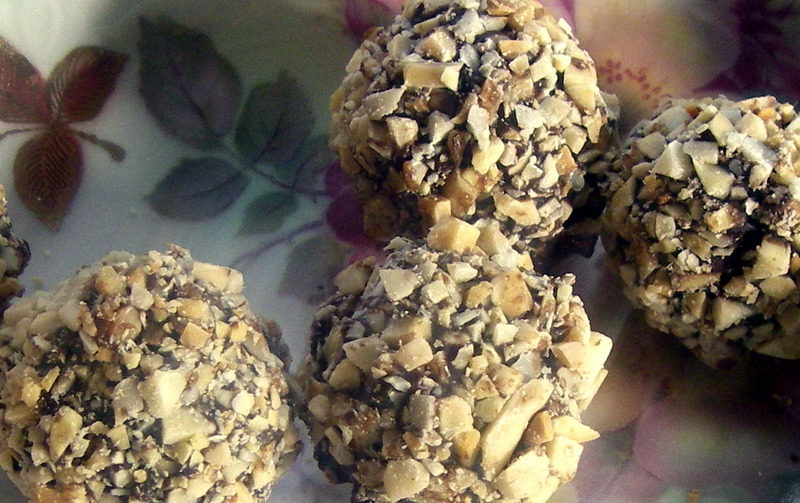 Remove the truffles from the refrigerator 15 minutes before serving. They will keep in the refrigerator for 3-4 days in an airtight container. When you have wonderful friends, you want to feed them wonderful food. Which is a convenient sentiment, since I was brought up to never arrive empty-handed. So even after a very long week at work (during which I did not even run to the convenience store for milk, let alone go to the grocery store) I still needed to make lemon bars. And yes, I NEEDED to make lemon bars. I’ve actually been dreaming about my Nannie’s lemon bars for weeks, and going to Newport was really just a fabulous excuse to finally make them. And then to get them out of the house. Yes, that part was key. But at eight o’clock in the evening, when I pulled out the lemon bar recipe, I realized I had only about half of the ingredients I needed. No powdered sugar, just a handful of granulated sugar packets, and only half a cup of all-purpose flour. 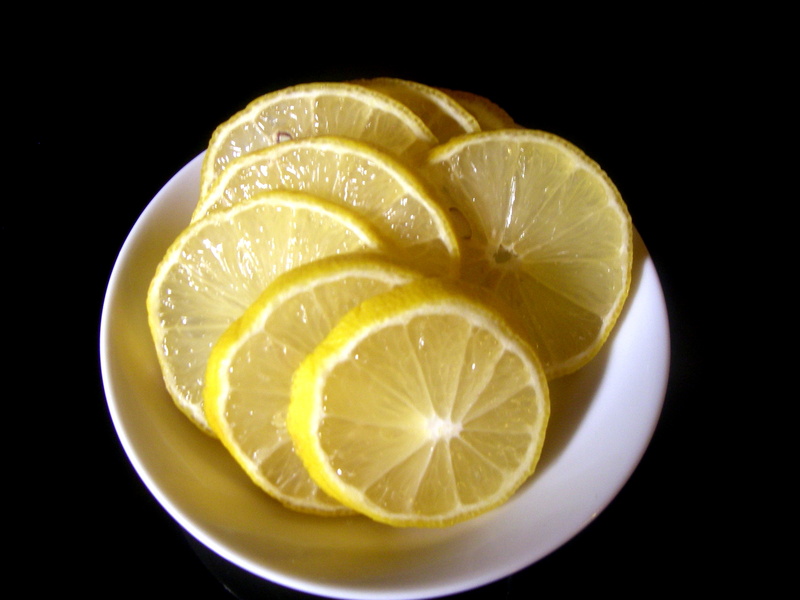 At least I had lemons. But Nannie’s lemon bars had a lovely, delicate pastry crust and a big, thick layer of yellow custard topped with plenty of powdered sugar. And did I go to the store for powdered sugar? Of course not. It actually worked out for the best. 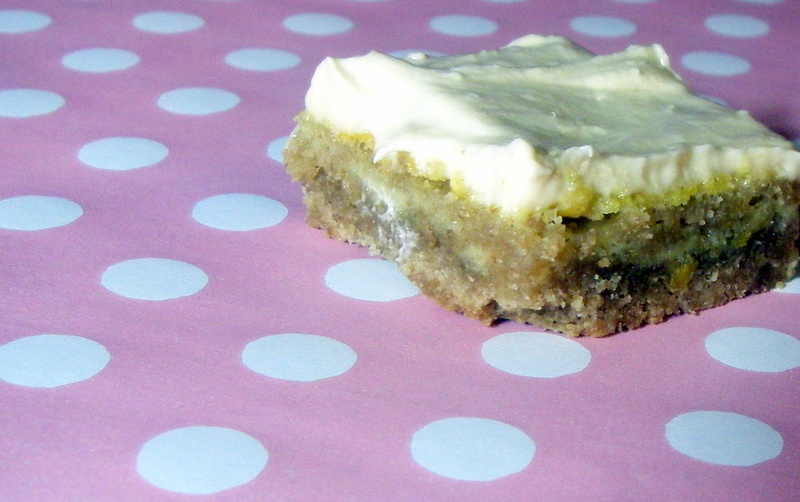 These lemon bars are really nothing like Nannie’s, but they are lovely and creamy and addictive. And after a beautiful and sunny day of sailing, we gobbled them up. Grinding up turbinado sugar for the custard may be a bit much, if you actually have granulated sugar in the house. So you can probably substitute, if you like. But I really loved this crust. 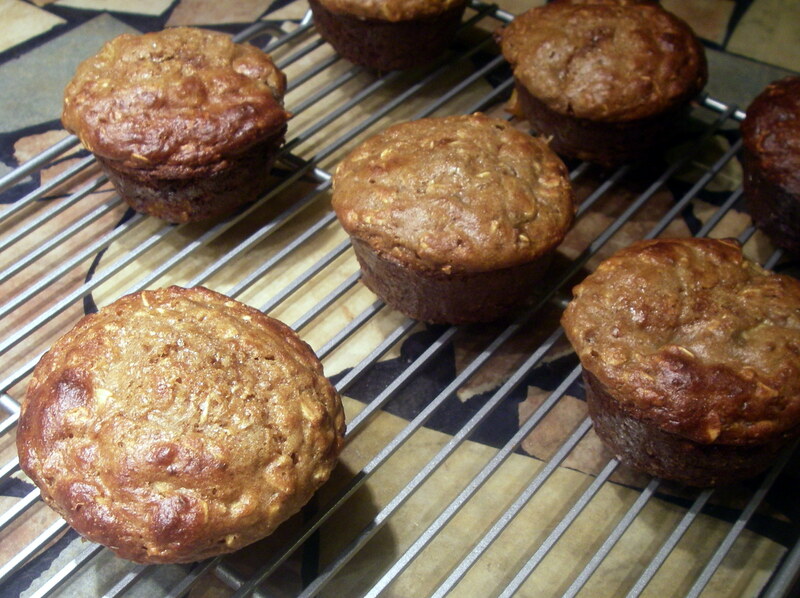 Who knew that whole wheat flour and turbinado sugar would make for such great flavor? Preheat the oven to 375 degrees. Mix together the flours, sugar, salt, and butter. Press the crust mixture into the bottom and sides of a square eight-by-eight inch baking pan. Bake for 12-15 minutes until slightly crisp around the edges. Meanwhile, mix together the lemon zest, juice, eggs and granulated sugar. Whir the turbinado sugar in the food processor until it has the texture of granulated sugar. Add to the lemon mixture and pour evenly into the crust. Bake 15-20 minutes until the custard is set. Cool completely. To make the frosting, beat the butter until fluffy, add the cream cheese and vanilla and beat well. Whir the turbinado sugar in a food processor until it has the texture of granulated sugar. Add the sugar to the frosting and beat to incorporate. 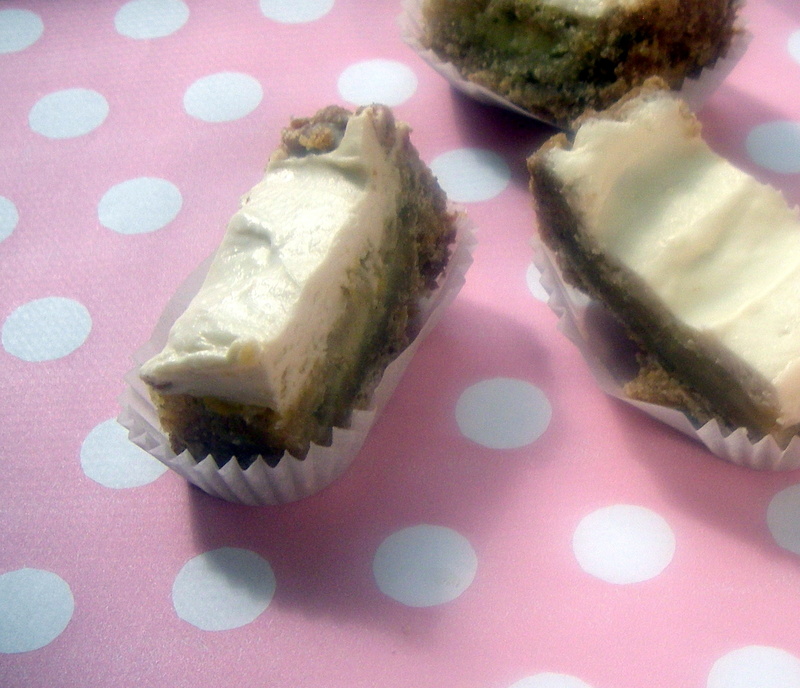 Spread the frosting over the cooled custard and cut into bars. Keep in the refrigerator 3-5 days.